I was fortunate last week to come across this recipe courtesy of the blog Front Burner when I was in a bit of a rush to bake something involving the word “mocha” that didn’t need a lot of preparation time. That these are “cute and delicious little muffins…so incredibly easy to make” is an understatement by the author of the original recipe. If you’ve got enough advance warning to soften three tablespoons of butter you can make a full batch of these, from start to cooling racks and with everything else cleaned up, in less time then it takes to run a load of laundry through the dryer when you live in an apartment building when the laundry room is several floors down from you. That’s my version of The Bessman Family’s time measurement for these mini-muffins and yes, I’m now considering measuring all of my recipes by that scale. In case delightfully simple and quick to make wasn’t good enough, they also taste great in a simple and satisfying way. If you make a decently strong batch of coffee it comes through as a subtle flavor in pleasant accompaniment with the chocolate and they’re not overly sweet so you can easily eat several of them before you realize what’s happening. I was so impressed by how easy they were to make and how well they turned out that I made another batch while my second load of laundry was in the dryer just to verify the timing. Preheat oven to 350°F and line a mini-muffin tray with mini-muffin cups. Stir together the oats and coffee in a small bowl as soon as you have brewed the coffee; that way the oats will become coffee-flavored oatmeal. Cream the butter and sugars together until well-combined. 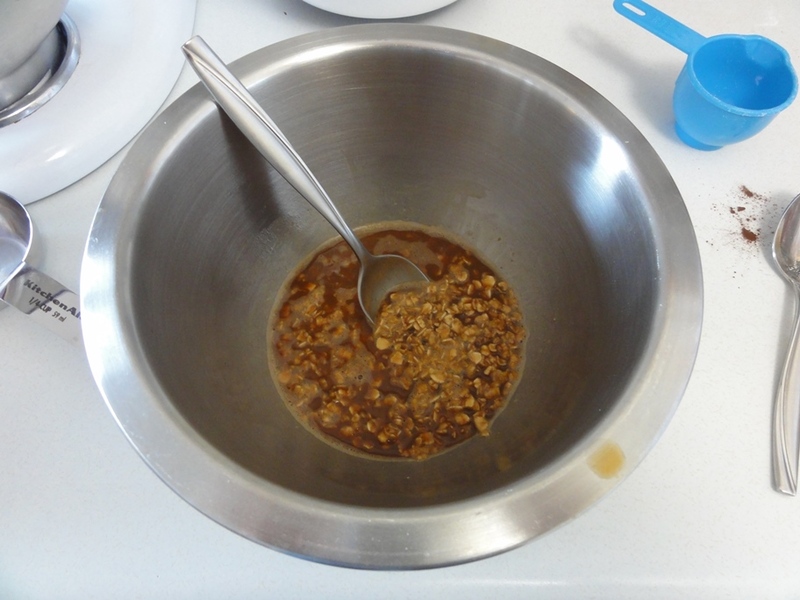 Beat in the egg yolk, vanilla, and oat mixture until well-combined; about 30-60 seconds on low-medium speed. 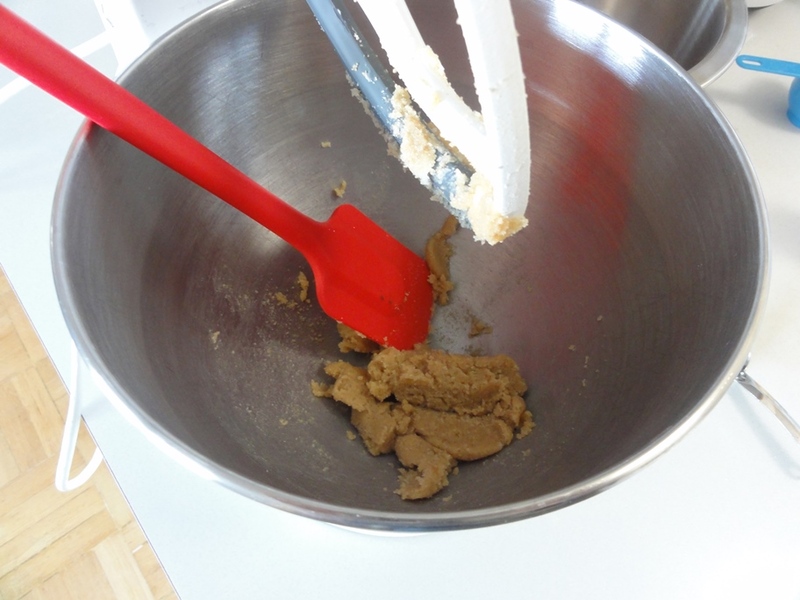 Whisk together the flour, cocoa powder, baking powder, baking soda and salt in a medium bowl to a uniform color. Fold the dry ingredients into the wet until just combined and then fold in the chocolate chips. 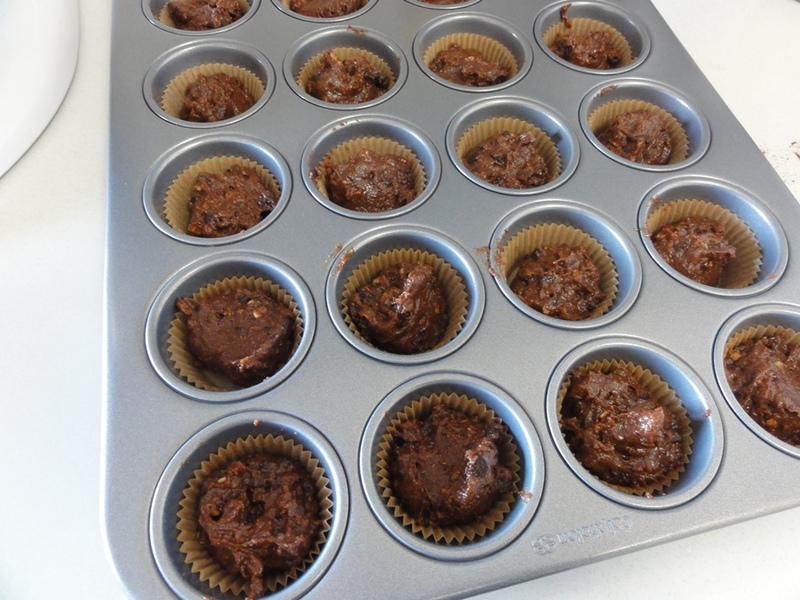 Fill the mini-muffin cups 3/4 full; optionally sprinkle more chocolate chips on top. Bake for 12-15 minutes; when they’re done the tops should be dry and puffy and a toothpick inserted into a muffin should come out clean (unless you hit a chocolate chip). Let cool for 5-10 minutes in the tray and then transfer to wire racks to cool completely. The original recipe calls for 2 tbsp of instant coffee and 1/3 cup boiling water to make your coffee, which would work just fine here. 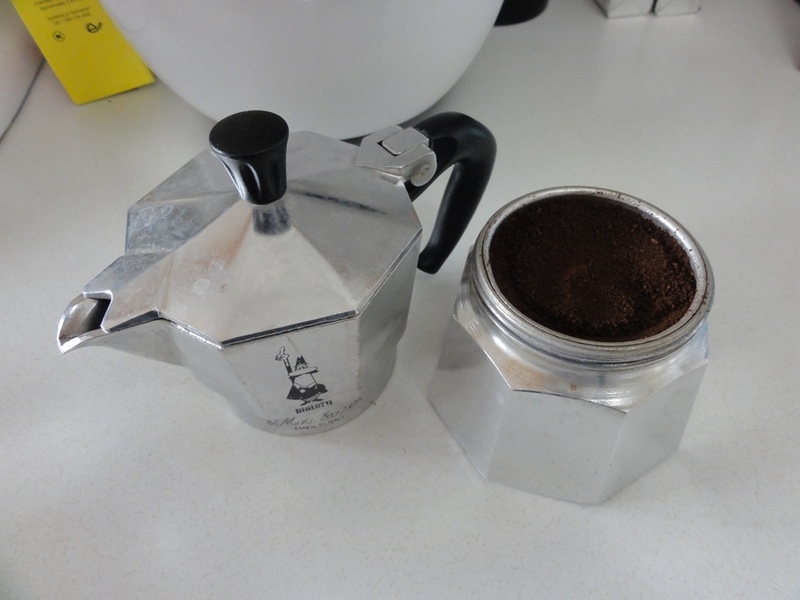 I wanted to show off my second favorite kitchen appliance so I brewed coffee this time but the instant coffee method would make the preparation even quicker. Nov, 25. 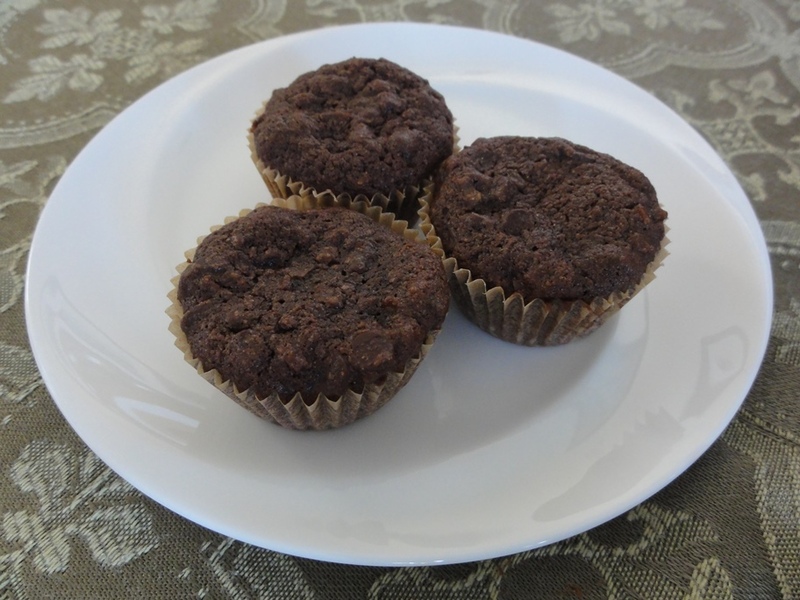 2013 Update: A reader gave this recipe a try with instant espresso powder and did not get a good result (check the comments below). Unless you happen to have some instant coffee that you know tastes amazingly like the real thing I recommend you brew up a strong cup of coffee. I made these again last weekend but doubled the recipe and 3 tbsp of a particularly bold ground coffee for 2/3 cup of brewed coffee worked wonderfully. I’m hesitant to change anything in this recipe because of how wonderful they taste, but I’m going to try a dash of cinnamon next time because it came to mind on my second or third “quality control test” after the first batch of muffins had cooled to the point that I could devour them. I’ll report back in if that works out well. The bottom chamber holds about a 2/3 cup of cold water, atop which you place a stainless steel filter cup that you fill with coffee grounds. 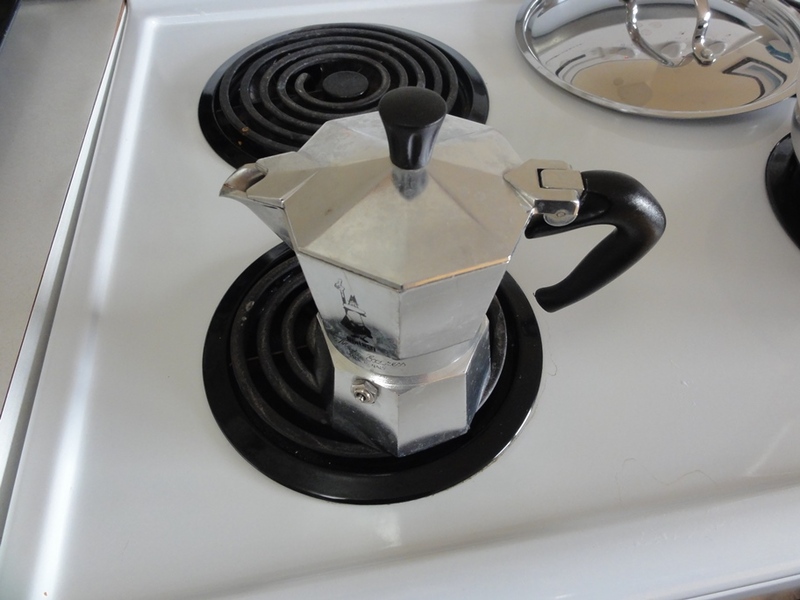 The top half screws onto the base and then the percolator goes on the stove over a low-medium temperature. 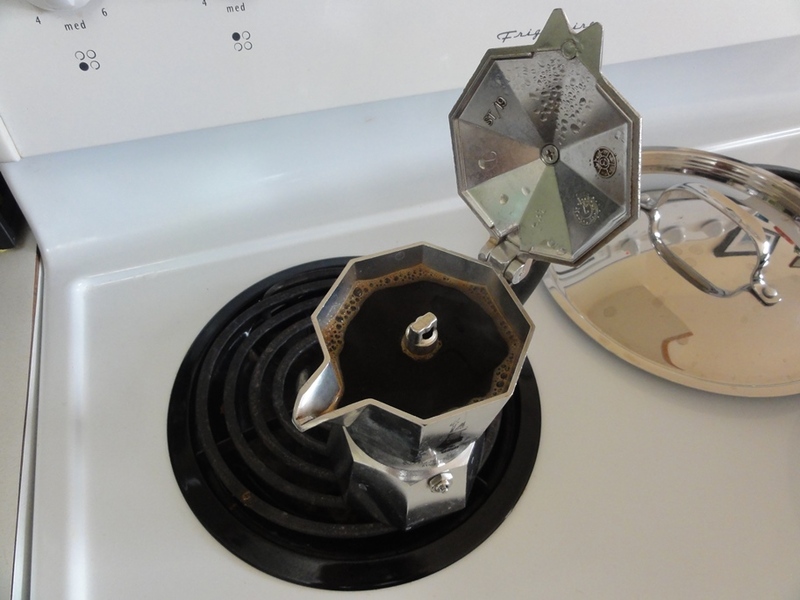 In around 5-10 minutes depending on what your stove is set at and the temperature of the water you started with, the water in the base will boil up through the coffee grounds, up through that central spigot, and pour out into the upper chamber. End result: a strong cup of freshly brewed coffee. Now let’s get back on with the show! Mix the coffee and oats together to make a coffee-oatmeal slurry. The moment I did this I was struck by the curiosity to find out what a bowl of instant oatmeal tastes like when made entirely with fresh coffee instead of water; I will test this idea soon. Three tablespoons of butter and nearly a half cup of sugar don’t cream together particularly well with the aid of electricity because there’s just not much for a mixer to work with. You may have to put some old-fashioned arm strength to work here to finish this step off. Alternatively you could very easily double the recipe and that would give the mixer a decent amount of ingredients and give you even more delicious muffins to eat. 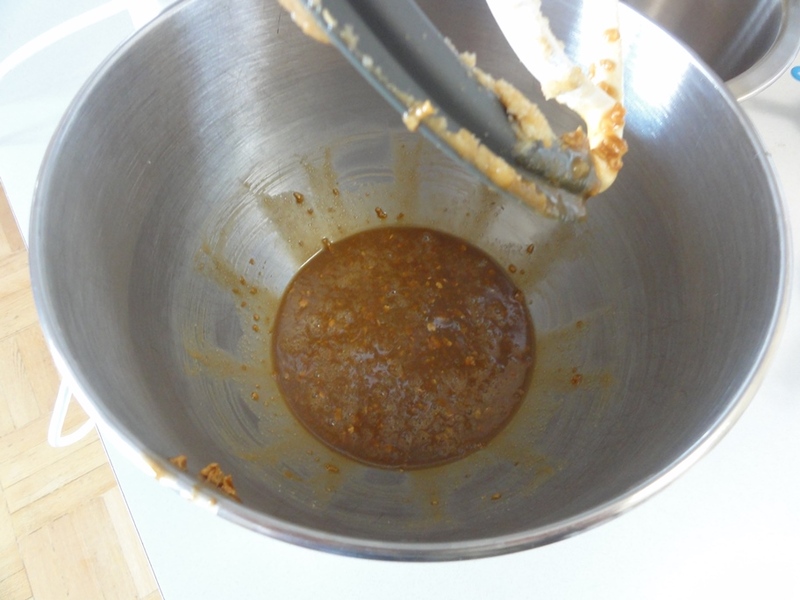 The eggs, vanilla, and oatmeal mixture should beat in comparatively easily and the end result will be very moist. Considering the small quantity of ingredients involved here make sure to scrape as much off of whatever you’re using to beat it all together. The batter will still be fairly moist when you fold in the dry ingredients. 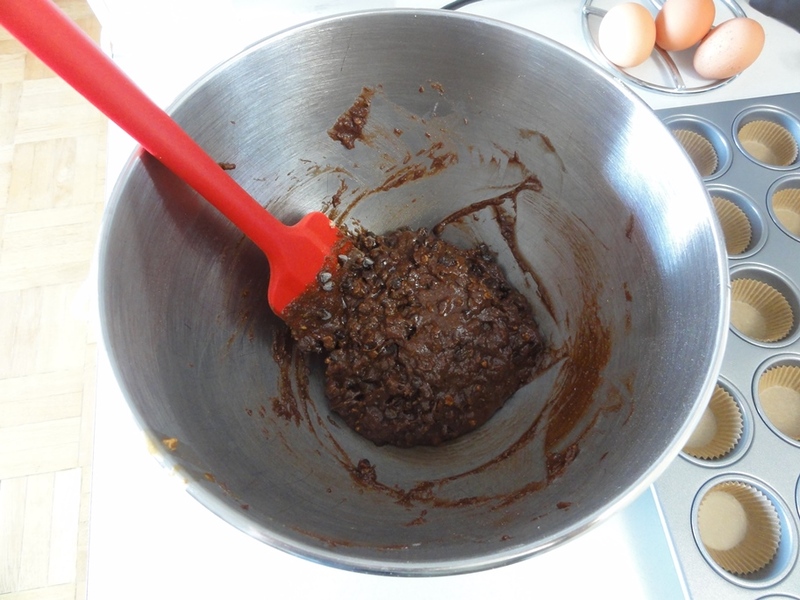 Blend everything together just until there’s no more dry powder in the bowl and then gently fold in the chocolate chips. 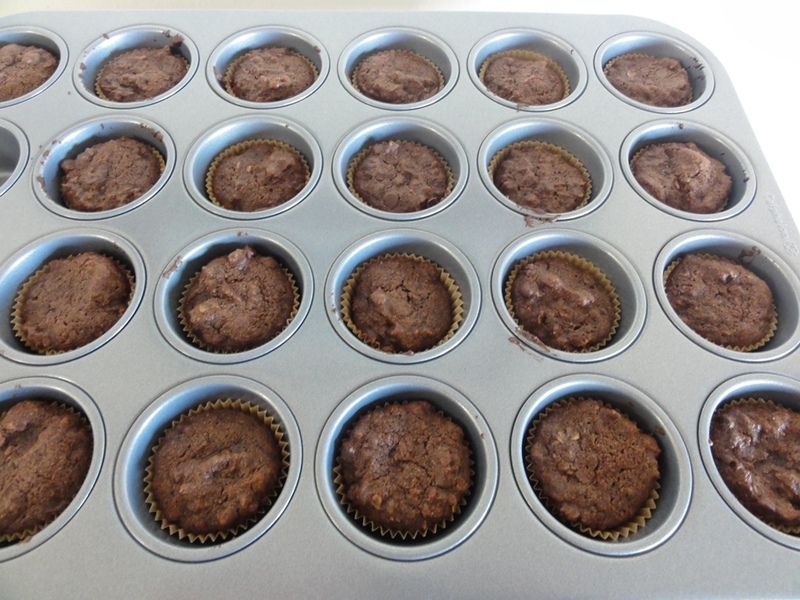 I found that a level tablespoon was a good measure for 3/4 full in each mini-muffin cup. Fair warning: they smell amazing when they come out of the oven. 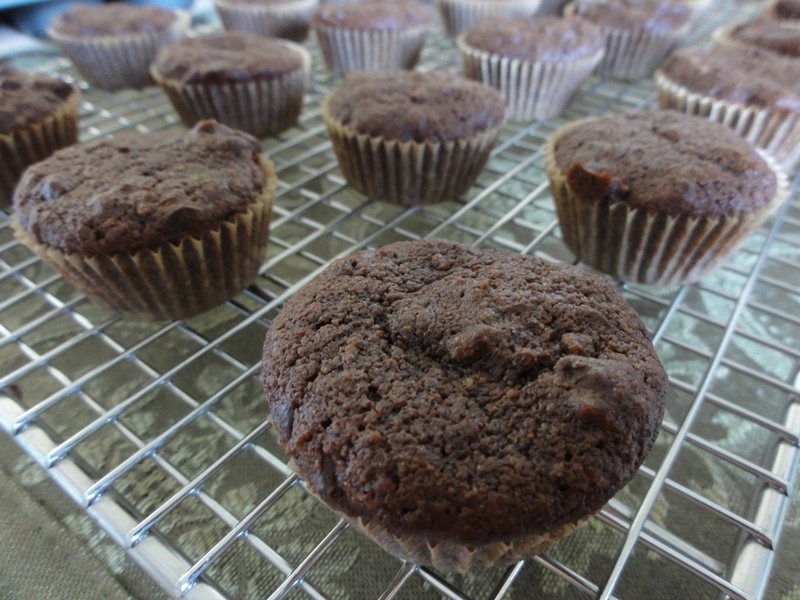 And there you have it; do some laundry and make some fantastic, mocha mini-muffins! I tried using instant espresso combined with hot water. The finished product has a distinct instant coffee taste. Next time I’ll try “real” coffee. Thanks for letting me know! I’ll post an update to warn people away.